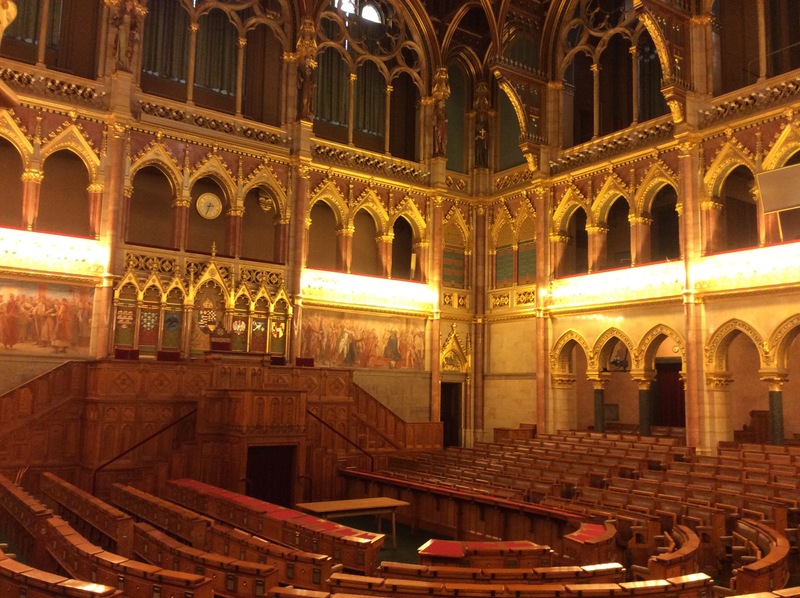 Along with the Canadian Parliament in Ottawa, the Hungarian legislature (Országgyűlés) in Budapest has a building which has more than one point of comparison with Westminster. A recent summer holiday on the Danube Bend has provided the opportunity to look at those in more detail. 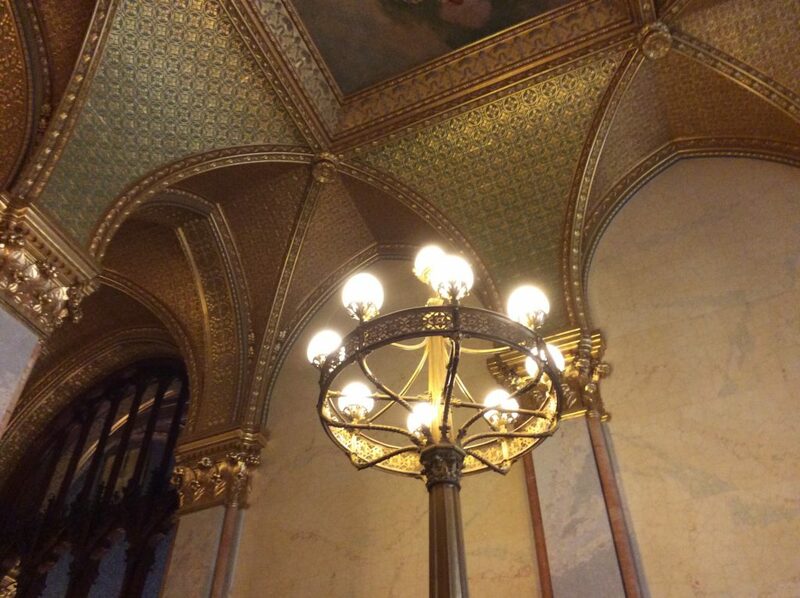 The Budapest Parliament’s riverside location and Gothic Revival profile immediately call to mind Westminster. The central dome is a curiously Florentine addition – or perhaps even Ottoman, given Hungarian history – to a building whose repeating bays and pinnacles echo the new Houses of Parliament in London. It was however, built from scratch for the Magyar Millennium in 1896, the Hungarian Diet having met since the middle of the century on Castle Hill, opposite the current site. 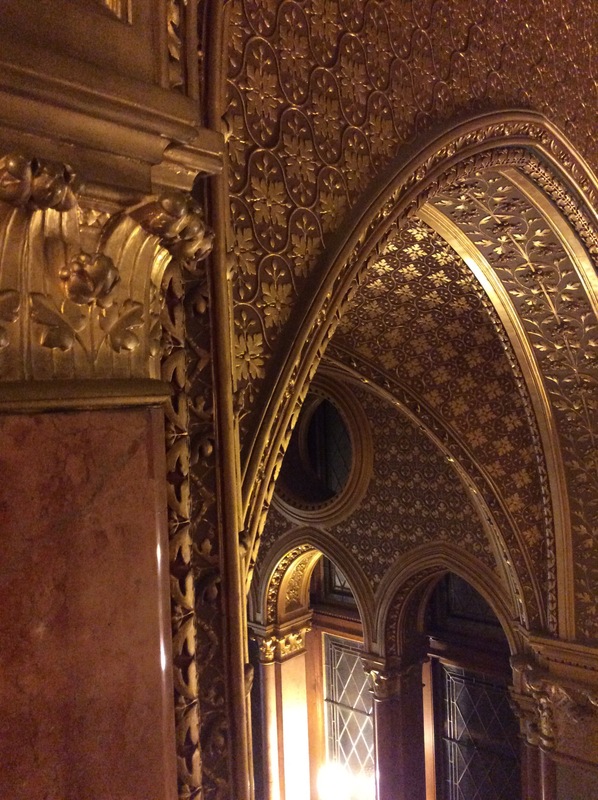 Inside the Gothic detailing continues, and the Central Hall at the heart of the building has sixteen sides, in a nod to Westminster’s octagonal Central Lobby. Under the dome there lies the crown and coronation regalia of the medieval Hungarian King-Saint Stephen: not the same St Stephen as is celebrated at Westminster but a nice co-incidence all the same. Whisked away for safety to the USA during the Cold War, the regalia returned to Hungary after the fall of the Berlin Wall and were transferred permanently to the Parliament building in 2000 as an ancient symbol of its sovereignty and Hungarian self-government. The rest of the building feels very familiar to anyone who knows the Palace of Westminster. Perhaps this is not surprising when you discover that the Hungarian architect, Imre Stiendl (1839-1902), was a corresponding member of the Royal Institute of British Architects of which Charles Barry, architect of the Houses of Parliament in London, was a founder member, in 1834. 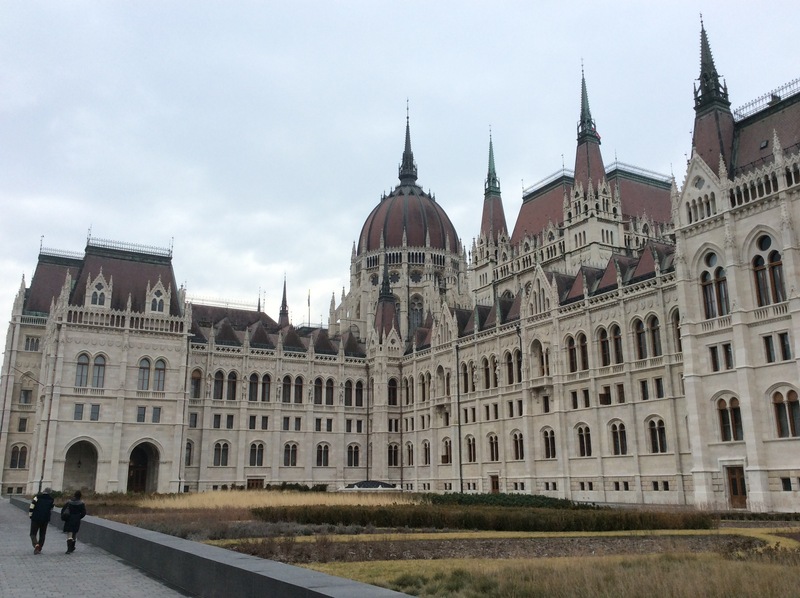 Usually I post my own photos on this blog but this time they turned out a bit rubbish so the pictures here are largely from the free gallery of the official website of the Hungarian Parliament.